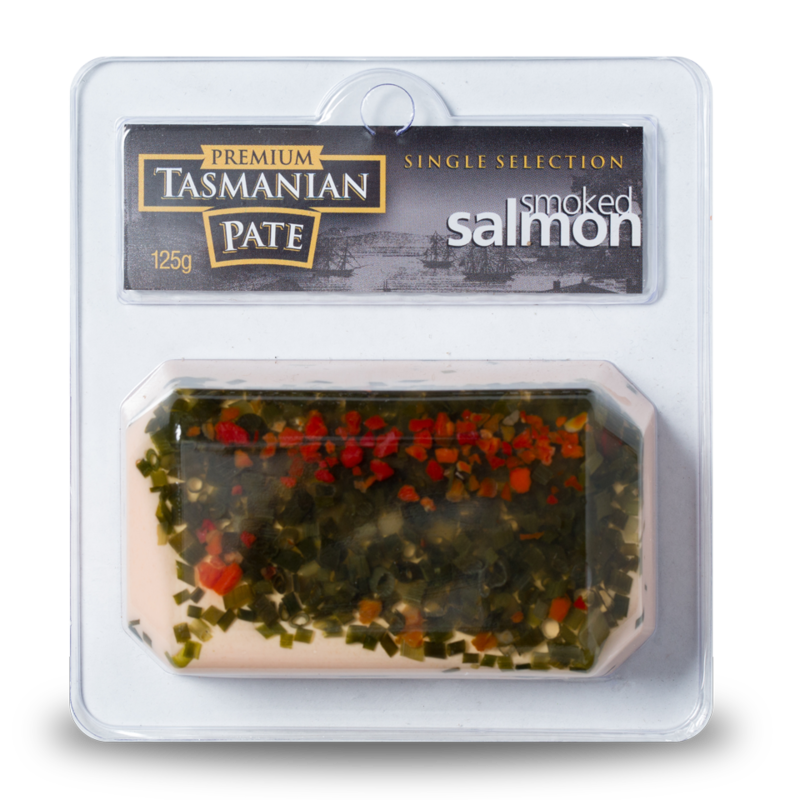 Tasmanian Pate produces a wide range of premium pates that meet all the tastes of customers selecting our products. The range as seen below comes in a variety of packaging sizes from 125gm through to 1kg catering packs. There are both single, double and triple blister packs available with all cyro–vaced for freshness and product longevity. 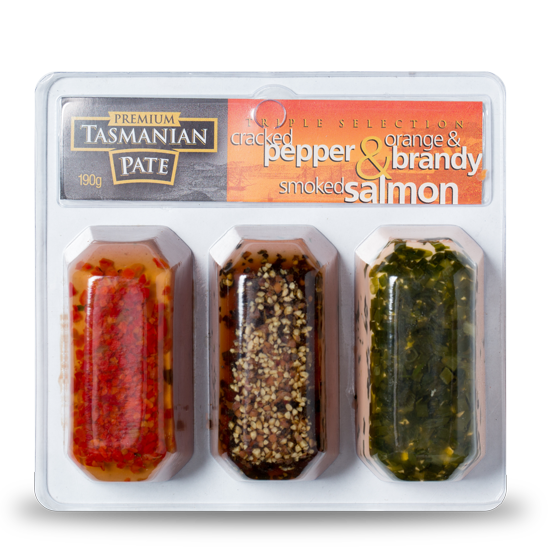 The company also has a long successful history of co-producing pate ranges for other leading brands within Australia. 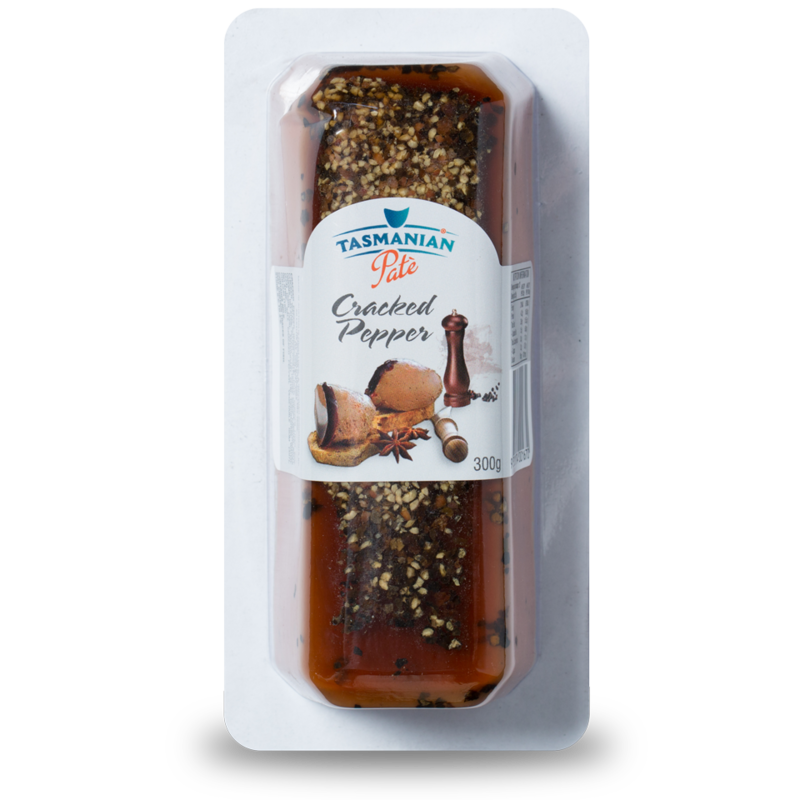 Tasmania Pate was first established in 1996 and has been a supplier of premium Tasmanian made pate products for in excess of 20 years. 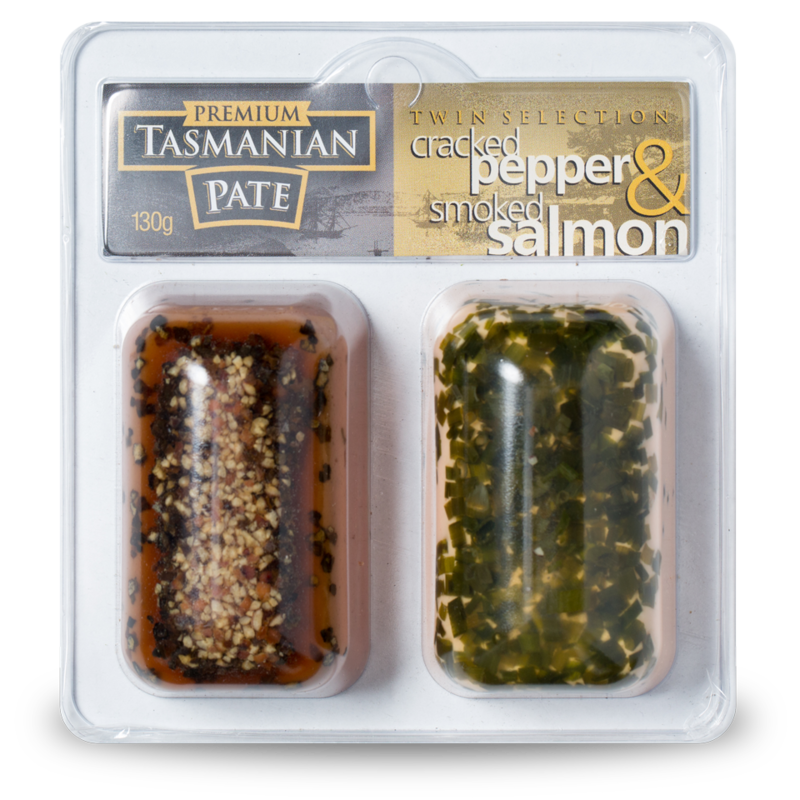 Initially as part of a larger food business, Tasmanian Pate has since become a stand alone specialised producer of Australia’s finest pate range. 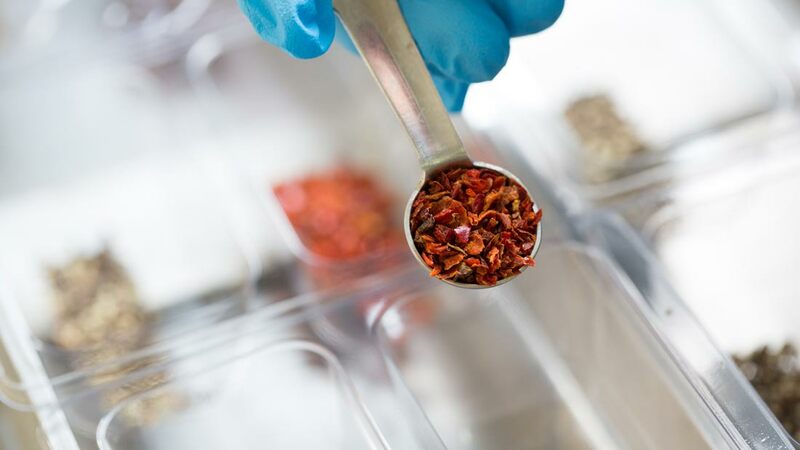 Having started with a limited range that became well established, the companies pate range of flavours grew to meet clients and consumers needs to were it is today with supply to national retailers and independents alike. 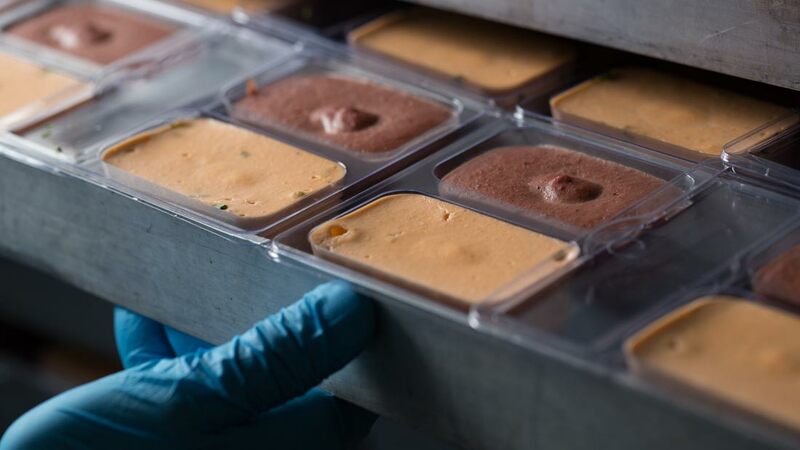 Tasmanian Pate also has its eyes on the future with new product development being planned to include revised favourites, seasonal offerings as well as new concepts for the market place in ready to eat lines. Tasmanian Pate is located centrally in North Hobart where it has its purpose built factory producing pate since its establishment. It location enables ease of access to interstate transport options with all product being freighted to the mainland weekly. Products are distributed through refrigerated logistics to all states on the mainland as well as within Tasmania. Tasmanian Pate also has SQF certification by SAI Global for its onsite production processes, is registered as a ‘Ready to Eat Meat Producer’ by the Tasmanian Department of Primary Industries, Parks Water & Environment, has both Brand Tasmania and Australian Made accreditations for its products and is compliant with the highest Quality Assurance by Woolworths Australia. 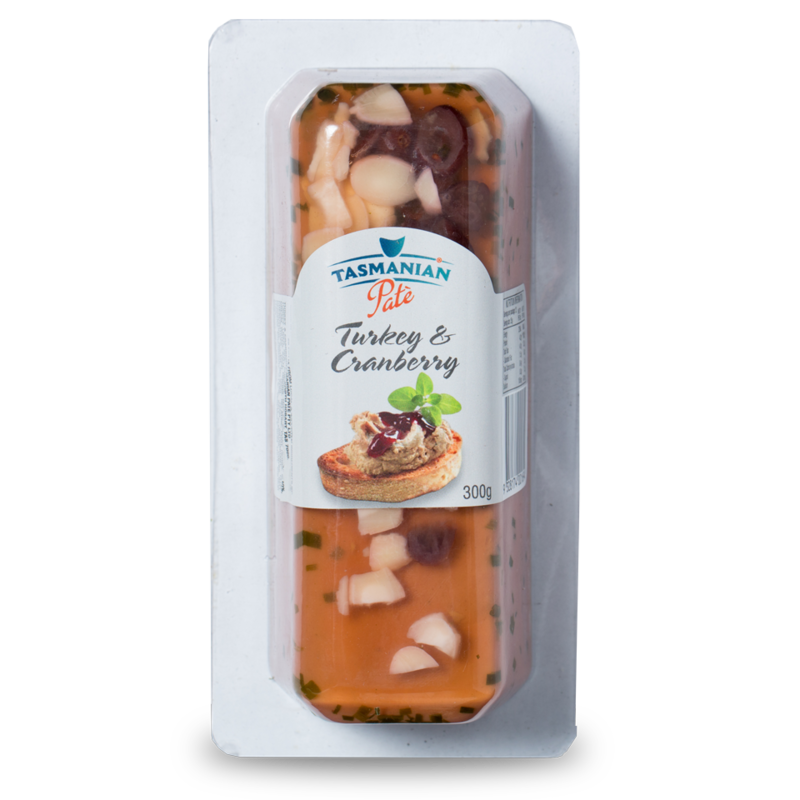 You can rest assured that Tasmanian Pate is producing the countries best pate’s under the safest food safety processes available. Even though we try our hardest at Tasmanian Pate to bring our clients the very best, sometimes mistakes do happen. If there are any mistakes or product information that we need to tell you about please click here for any current product issues including recalls, updates or product changes.